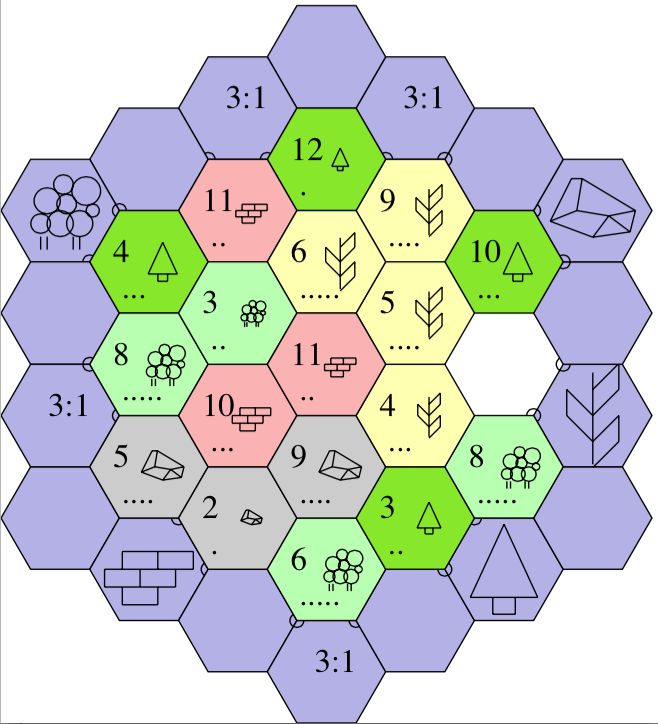 I wrote a java program that generates postscript Settlers of Catan game boards for printout. Settlers of Catan is a very fun 3-4 player strategy game that uses a different randomly arranged board for each match. After printing out a board you can mark your settlements with colored highlighters, creating a highly-portable version of the game that requires no setup time.